Call 801-449-1409. See what the right attorney can do. Utah adoption law provides some special rules for adoptions involving a child in foster care. A Utah adoption lawyer can help you successfully navigate the legal system. 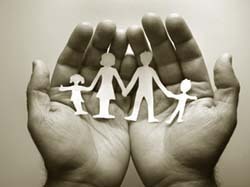 In any adoption, the court is required to consider the best interests of the child (adoptee). But in cases where a child is in the custody of the Division of Child and Family Services (DCFS) and the foster parents have petitioned to adopt the foster child, Utah Code 78B-6-132 requires the court to give special consideration to the relationship that has developed between the child and the foster parents where the child has been in that home at least six months. In such cases, while the court must give that relationship special consideration, the court must still comply with the legislature's decision to impose a public policy of placing an adoptable child with a married couple whenever possible. This policy can potentially place single parents at a disadvantage when seeking to adopt. If you are considering adopting a child who is currently in foster care, contact us now to schedule an initial consultation. Based in Salt Lake City, we are prepared to provide adoption-related legal services to clients throughout Utah. Let Stephen Howard help you begin the adoption process today.